Audi has given its flagship R8 a comprehensive make over for its 2013 model year line-up. The new look is due to make it’s debut at the Paris Motor Show and among the changes for the R8 V8 and V10 Coupé and Spyder models is a new S tronic twin-clutch transmission. A good move for the firm since it’s replacing the much criticised R tronic automated manual gearbox. 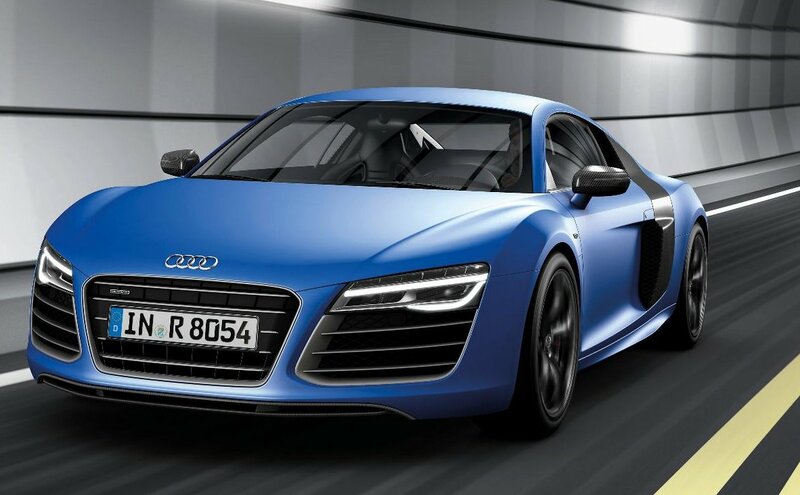 The V10 Coupe is also lighter, quicker with a 550PS V10 engine. There’s also all-LED headlights and rear indicators with innovative sweeping function standard across the range. Most models have equipment upgrades. OTR prices range from £91,575 to £127,575 and if you’ve got the cash you can order from next month with delivery early next year. This entry was posted in News and Views and tagged audi, audi r8, caption, coupe, LED, LS, MoT, new audi, OTR, Paris Motor Show, price, R Line, Spyder, the Paris Motor Show by Steve Lumley. Bookmark the permalink.